Scholastique Mukasonga novel “Our Lady of the Nile” in film production. Scholastique Mukasonga’s novel Our Lady of the Nile is currently in film production and will be in cinemas in 2019. 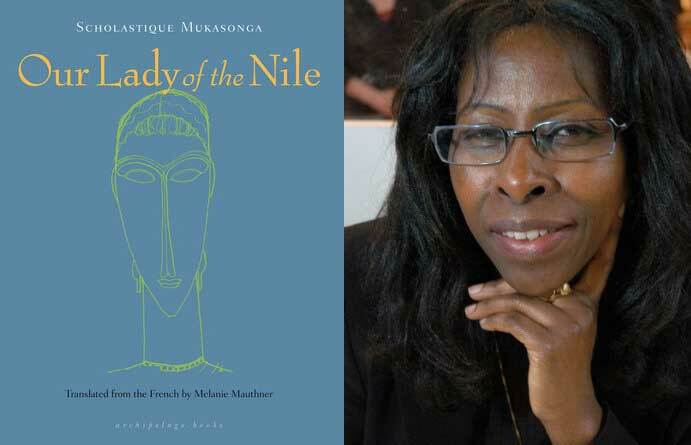 Mukasonga immerses us in a school for young girls, called “Notre-Dame du Nil.” The girls are sent to this high school perched on the ridge of the Nile in order to become the feminine elite of the country and to escape the dangers of the outside world. The book is a prelude to the Rwandan genocide and unfolds behind the closed doors of the school, in the interminable rainy season. Friendships, desires, hatred, political fights, incitation to racial violence, persecutions… The school soon becomes a fascinating existential microcosm of the true 1970s Rwanda. Expect many movie watchers to complain that the movie has failed to meet the awesomeness of the novel. Read the full article which the revelation is made here. Previous Previous post: African Writers Trust workshop hosted in Kampala, Uganda. Next Next post: Ama Ata Aidoo to headline Mboka Festival 2019.